MACS residents have even more reason to smile with the opening of the new walking track. A new walking track was officially opened at a special event at Multicultural Aged Care Services (MACS) in Geelong on Thursday. MACS’ new fitness walking track is all about encouraging positive wellbeing, staying active and offering a different space for residential and home-based consumers and their families and friends. The new walking track will also have a Strava segment created around it to add some friendly competitiveness and encourage more regular use. Beyond the fitness benefits, the new walking track also promises to be good for the soul. MACS commissioned renowned local sculptors and artists Jan and Geo Francis of Moongate Studios to create a number of thought-provoking art installations along the track. Moongate Studios have designed and directed several large regional sculpture projects such as ‘Pipeline’ (Civic and Recreational Precinct, Torquay), ‘Tango’ (Eagles Nest Gallery, Aireys Inlet), ‘Two Cultures’ (Sea Bank Estate, Barwon Heads), ‘Skating Gecko’ (Corio Park Geelong), the Lara bushfire memorial and the Bellbrae wall. MACS is dedicated to providing excellence in aged care, home care, palliative care and respite care to meet the culturally diverse needs of the community. 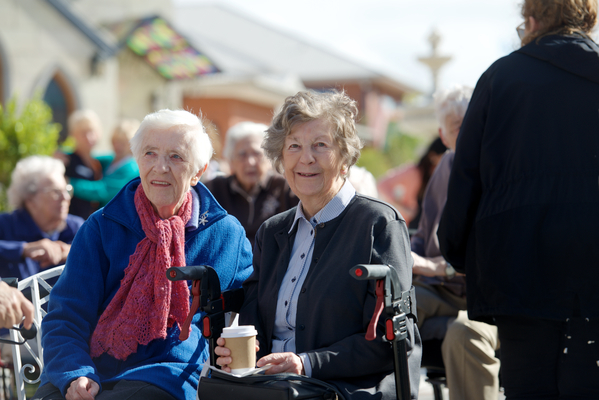 To find out more about Multicultural Aged Care Services, phone 1300 622 778 or visit macs.org.au.